Hello, my name is TheRoundChestnut, and you're probably here because you either watched the show and want to be certain on your thoughts of Tengen Toppa Gurren Lagann, or you're unsure to watch this show. I feel as if the other reviews for this anime were not clear as to why they liked it and were too hung up on their enthusiasm to share their thoughts. But I am not saying I am better than the other reviews, but simply giving more to what is already given. As I was watching this anime, I critically analyzed points, topics, and themes to talk about for this review. Also as for spoilers, I will only spoil only the first episode of this anime because it will justify what I am talking about, so if you did not watch it or forgot, then I strongly encourage you to watch the first episode before indulging in this review. 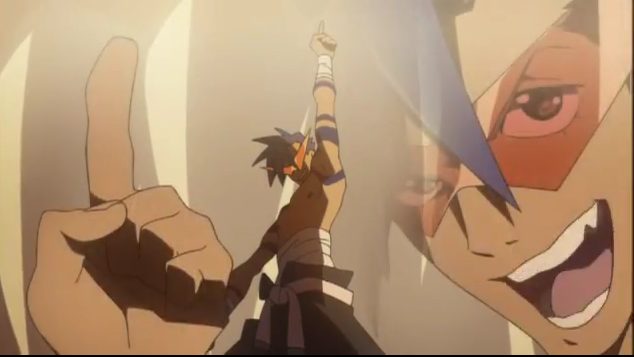 Tengen Toppa Gurren Lagann is probably the most enthusiastic and over the top animes I have ever seen. Ever since the first episode, this show knew where it was headed. 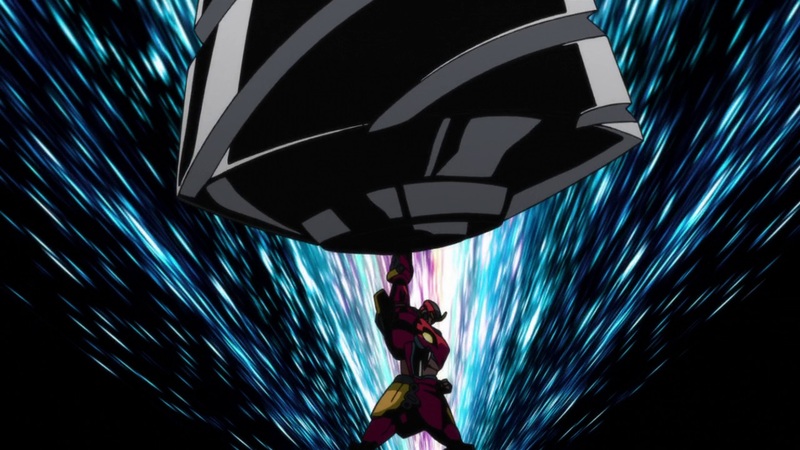 At the beginning of episode 1, there was the opening scene of Simon in his Super Galaxy Gurren Lagann heading into a battle. 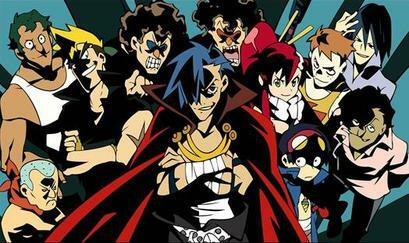 In an interview with the director Imaishi Hiroyuki, he said that he thought opening scene was going to be the highest they can go in terms of climax, but in the end they went going beyond that. With its super combining with mechs, shouting super moves, and even looking at the wonderful character designs. this show proves that characters and mechs can be well designed and established. Another aspect of this show which shines is the animation and its pacing. The main scenes of this anime are fighting robots and over the top cuts of the characters fighting, but how these are implemented are done so nicely that its directly impacts its pacing of the show. The fighting scenes are quick and fast, which equates to how fighting in reality are. But when characters are talking or on their downtime, its slow and andante and allows the viewers to have breathing and relax room until the next time they fight, much like how the characters in the show are. This direct influence on mental state on the viewer is important for keeping their attention, because if this show was all nonstop mech fighting, the viewers will be tired too. This show utilizes is nonfighting scenes dedicated to character development and exposition. And not to mention its wonderful soundtrack that complements the atmosphere of the scene. In conclusion, this show does a fantastic job in their execution of animating a mech genre with characters that actually drive the story (instead of characters being there for plot convenience), very nice and hype fighting, and lovable characters and their quotes. Although there are minor flaws that falters this anime a little when dwelling deep into its structure and logic, it still is a fun, wacky, and over the top anime that everyone loves. And I say "YES" completely.